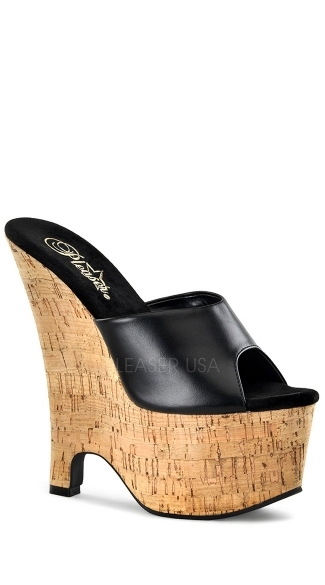 This 6 1/2 inch wedge would make a perfect addition to any summer beach outfit. Your choice between a cork bottom or a clear bottom makes these the perfect summer club shoe. 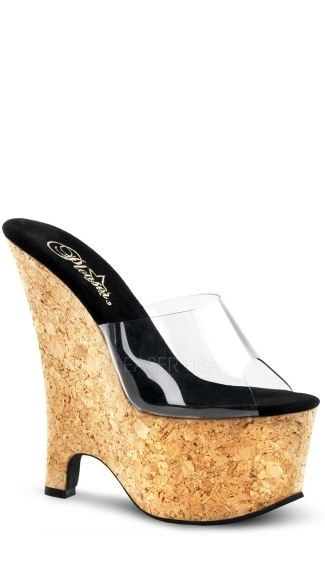 This shoe features a 6 1/2 inch heel and a 2 3/4 inch platform.